Opening July 12 in Toronto, exhibition of photos, sculptures, and media installations is the largest survey of Belmore’s work and extends beyond the museum in downtown Toronto. For over 30 years, Rebecca Belmore has created artworks that respond to the pressing concerns of our time. Opening at the Art Gallery of Ontario (AGO)with a free public reception on July 11 at 6 p.m., Rebecca Belmore: Facing the Monumental is the largest survey of Belmore’s work ever presented, and featuresphotography, sculpture and media installations from the past three decades. Filling the fifth floor of the AGO’s Vivian and David Campbell Centre for Contemporary Art, the exhibition extends through a series of satellite installations into the AGO’s Galleria Italia, the AGO’s Joey & Toby Tanenbaum Sculpture Atrium, the AGO’s J.S. McLean Centre for Indigenous and Canadian Art, and the intersection of Queen and Bay streets in downtown Toronto. Curated by Wanda Nanibush, AGO Curator of Indigenous Art, the exhibition also marks the debut of three new large scale Belmore works, including a large scale public video installation. Highlights in the Gallery include the sixteen-foot wide projection on moving water Fountain (2005) as well as Belmore’s recent sculptural work Biinjiya’iing Onji (From Inside)(2017), a marble tent that since its debut in Athens as part of dOCUMENTA14, has mirrored the path, from Greece through Germany and across the ocean, of so many migrants and refugees. Renowned for engaging with natural materials and for using her own body and voice, Belmore has been creating performance art since the late 1980s. The exhibition’s title — taken from a performance Belmore staged in Queen’s Park on Canada Day in 2012 — reflects the artist’s desire to express politics through poetic gestures and beautiful images. A member of Lac Seul First Nation (Anishinaabe), Belmore is the recipient of the 2016 Gershon Iskowitz Prize at the AGO. From the AGO’s own collection, the exhibition includes Belmore’s iconic sculpture Rising to the Occasion (1987-1991), which will be installed in the revitalized J. S. McLean Centre for Indigenous and Canadian Art, opening July 1. Incorporating kitschy royal souvenirs with a beaver dam bustle, this garment was worn by Belmore as part of a performance organized in response to a 1987 visit by the Duke and Duchess of York to Thunder Bay. The exhibition is also expected to feature three works from the Wave Sound series. These sculptures, which were commissioned by Partners in Art for the LandMarks 2017/Repères 2017 project, reflect in their design the topography of the sites where they were originally installed – notably points in Gros Morne National Park, Banff National Park and Pukaskwa National Park. One new work making its debut as part of Facing the Monumental, is a large scale video work entitled Nibi. The work, whose title means water, was commissioned by TD Bank Group and will be screened on the Queen and Bay TD Branch – Media Art Wall all summer, flowing onto the intersection of Queen and Bay Streets in downtown Toronto. A 132-page hardcover catalogue will accompany the exhibition. Published by the AGO and edited by Wanda Nanibush, Facing the Monumental will be available for sale as of July 10 in shopAGO for $30. The exhibition is included with the price of General Admission and is free to AGO members. More information on the benefits of AGO membership can be found at www.ago.net/general-membership. A member of Lac Seul First Nation (Anishinaabe), Rebecca Belmore is an internationally recognized multidisciplinary artist. Rooted in the political and social realities of Indigenous communities, Belmore’s works make evocative connections among bodies, land and language. Her group exhibitions include: dOCUMENTA 14 (2017), Athens, Greece, Echigo-Tsumari Triennial, Niigata Prefecture, Japan (2015); Global Feminisms, Brooklyn Art Museum, New York (2007); Land, Spirit, Power, National Gallery of Canada, Ottawa, ON (1992); and Creation or Death: We will Win, Havana Biennial, Cuba (1991). Belmore was a recipient of the Gershon Iskowitz Prize in 2016 for her outstanding contribution to the visual arts in Canada, Governor General’s Award in Visual and Media Arts in 2013, the Hnatyshyn Foundation Visual Arts Award in 2009, and Honorary Doctorates from the Ontario College of Art and Design University in 2005 and Emily Carr University in 2018. Rebecca Belmore: Facing the Monumental is organized by the Art Gallery of Ontario. Co-led by Wanda Nanibush, Curator, Indigenous Art and Georgiana Uhlyarik, Fredrik S. Eaton Curator, Canadian Art, the Department of Indigenous and Canadian Art was created to better reflect the Nation to Nation relationship that underlines the treaty relationship that allowed Canada to come into existence. This new name acknowledges the historical and contemporary position of Indigenous Art as existing prior to and extending beyond Canada’s borders. 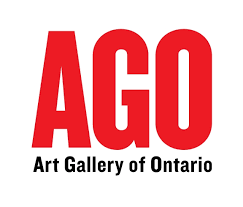 The AGO’s Women’s Art Initiative is a community of women coming together in support of the AGO’s commitment to women artists through exhibitions, publications, and acquisitions. The Gallery is deeply grateful to The Women’s Art Initiative for their generous support of this project. The Gershon Iskowitz Foundation is a private charitable foundation established in 1986 through the generosity of painter Gershon Iskowitz (1921 – 1988). Iskowitz recognized the importance of grants in the development of artists in Canada, in particular acknowledging that a grant from the Canada Council in 1987 gave him the freedom to create his distinctive style. The Foundation’s principal activity is the designation of the Prize which is unique in that one can neither apply nor be nominated; a second distinct characteristic is that the Prize is an excellent example of an artist supporting other artists. At the 20-year mark of the Prize, the Foundation formed a collaborative partnership with the Art Gallery of Ontario to raise awareness of the importance of the Prize and through it, the visual arts in Canada. The AGO is home to Iskowitz’s archives, which include early works on paper, sketchbooks and memorabilia, and it holds 29 paintings by Iskowitz spanning 1948 to 1987 in its collection. Beginning in 2006, in addition to a significant financial award the Prize has included a solo exhibition of the winner’s work at the Gallery. Among the 29 previous recipients of the Prize are Liz Magor, Betty Goodwin, General Idea, Stan Douglas, John Massey, Irene F. Whittome, Françoise Sullivan, Geoffrey Farmer, Brian Jungen, Michael Snow and Kim Adams.